A vote in Parliament to seek a delay to Brexit could only be "a stay of execution", according to business group the CBI. Industry bodies saw a glimmer of hope in the vote, but said the UK could still crash out of the EU with no deal. 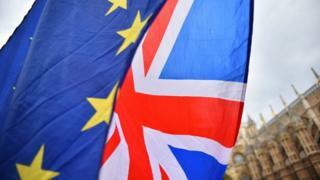 The British Chambers of Commerce said the vote "leaves firms with no real clarity on the future." The pound fell a third of a cent against the dollar immediately following the vote. The fall follows a climb to nine-month highs against the US dollar and a nearly two-year high against the euro after a vote on Wednesday. The House of Commons voted by a majority of 210 for Theresa May to request an extension to the two-year Brexit negotiation process, pushing the EU exit back from its current 29 March deadline, as long as the 27 other European Union states agree. The latest vote came after MPs rejected Theresa May's withdrawal agreement for the second time and then ruled out a no-deal Brexit. Mrs May will now renew efforts to get her Brexit deal approved by Parliament. She is putting pressure on MPs to back her by threatening a longer delay if they vote against her. However, business groups remained sceptical about the Brexit process. Josh Hardie, CBI deputy director-general, said: "After an exasperating few days, Parliament's rejection of no deal and desire for an extension shows there is still some common sense in Westminster. But without a radically new approach, business fears this is simply a stay of execution." Helen Dickinson, chief executive of the British Retail Consortium, said: "Britain stands on a knife edge. Parliament must put an end to this uncertainty." "Without definitive action by MPs in the next six days, we will see the UK crashing out of the EU on 29 March without a deal." Brexit uncertainty has had mixed effects on the UK economy. Retail spending slowed sharply towards the end of last year, while surveys suggest an increase in manufacturing has largely been driven by companies speeding up production due to the risk of no-deal disruption. Business investment has been one casualty of the uncertainty, with a slow down in December recorded by the Office for National Statistics. It said that investment had fallen quarter on quarter all through the year for the first time since the economic downturn of 2008 to 2009. The Bank of England ascribed the falls to "rising uncertainty, mostly related to concerns around Brexit". Business groups have been increasingly exasperated by a lack of progress in Parliament on Brexit. Dr Adam Marshall, director general of the British Chambers of Commerce (BCC), said: "Once again, businesses are left waiting for Parliament to reach a consensus on the way forward and are losing faith that they will achieve this. "In the meantime, firms are continuing to enact their contingency plans, anxiety amongst many businesses is rising, and customers are being lost. "Businesses, jobs, investment and our communities are still firmly in the danger zone." Catherine McGuinness, policy chair of The City of London Corporation said: "The clock is ticking. Further delays will mean households and businesses remain hostage to the crippling economic uncertainty that has already plagued them since the referendum." Tech industry body TechUK said "We remain days away from a chaotic exit from the EU."